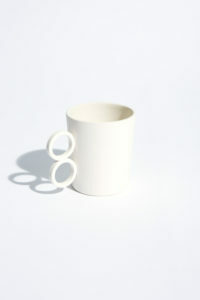 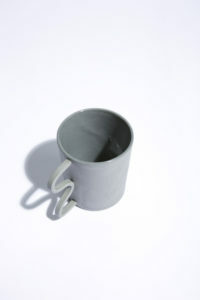 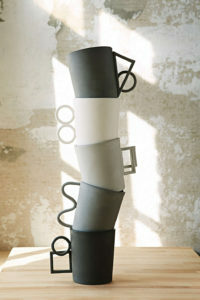 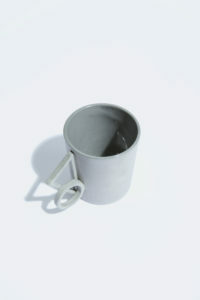 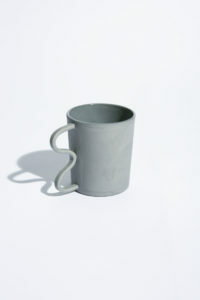 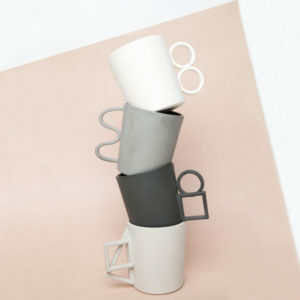 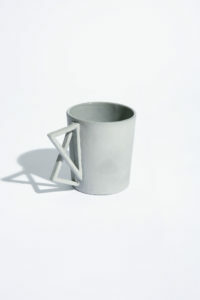 AANDERSSON - 002 - shapes mugs. 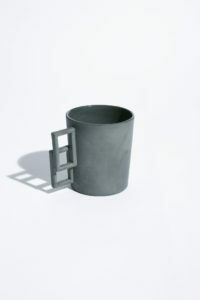 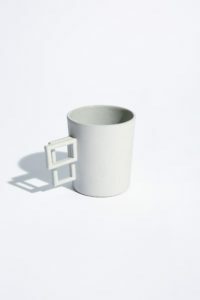 This series of porcelain mugs explores the functional applications of various geometric forms in combination and isolation. 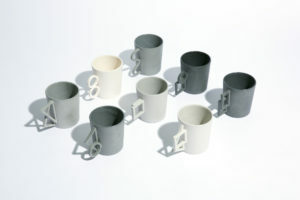 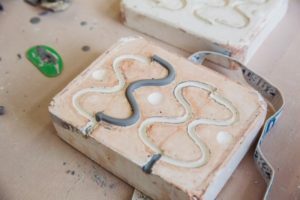 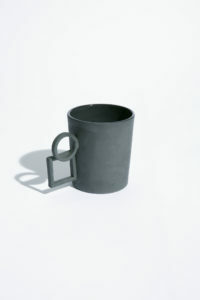 Originally eight mugs were prototyped and five were chosen for their functional form. 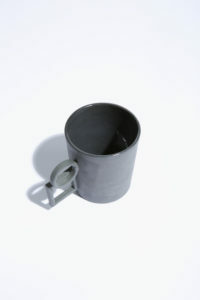 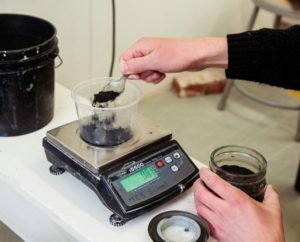 The finish designed for these particular mugs is somewhat unique, where a colored clay body is exposed on the exterior and provides a cement-like texture after it is polished. 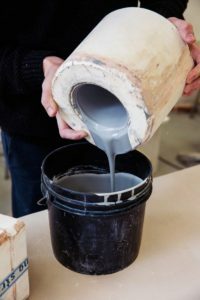 The interior’s gloss glaze contrasts with the exterior’s rough texture.